Home / Skin Care / How to Get Rid of an Ingrown Hair ? Some people even refer ingrown hair as razor bumps that are characterized as raised, pimple-like red bump and tiny curled hair strands, which grows back into the skin instead of coming out from it. This can be painful accompanied by, swelling and irritation in that area. People with curly hair tend top face this problem more often. Baking soda is popularly known for its naturalВ anti-inflammatory propertiesВ and soothing effects.В This natural remedy is a great cure to be mentioned in the list of home remedies to get rid of an ingrown hair. Baking soda remedy is a good option when trying to prevent ingrown hair. It helps to reduce the itching and redness caused in the area and also acts as aВ natural exfoliator for your skin in order to help eliminate the dead skin. All you need to do is to make a concentrated solution of baking soda and water. Now apply this solution over the affected area. Use a cotton ball for application and then leave it for a good 5-10 minutes. Now, wash it off with lukewarm water. We recommend you to repeat this daily for at least a week to get effective results and get rid of an ingrown hair fast. As an alternatively, you can also make a homemade scrub by mixing ground oatmeal, baking soda, and water and use it to get rid of an ingrown hair. Yet another effective and natural home remedy to get rid of an ingrown hair is oatmeal. The qualities of natural scrub in oatmeal helps to eliminate the dead skin which tends to clog the hair follicles, thus resulting in ingrown hair. For its usage, all you need to do is to mix equal quantity of groundВ oatmeal, yogurt, and honey. Now, apply this mixture over the affected area. Leave it for around half an hour to show effect and then wash off with cold water. Repeat this remedy every alternate day in order to get rid of an ingrown hair. Oatmeal is known to have naturalВ antioxidant and anti-inflammatory properties. This natural properties work wonders in helping you to get rid of an ingrown hair. These properties work as a soothing skin agent. Colloidal oatmeal had even beenВ approvedВ by the U.S. FDA, as a skin protectant. Sugar is another wonderful home remedy that will help you to get rid of an ingrown hair fast and effectively. This readily available remedy acts as a natural exfoliator for your skin which further helps to remove the dead skin cells that happen to clog the hair follicles. This process will further help to bring out the ingrown hair. 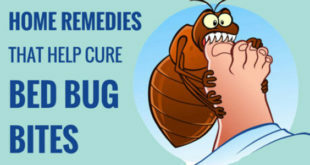 In order to use this remedy effectively you will have to first mix some white sugar with extraВ virgin olive oilВ or jojoba oil and a few drops of tea tree oil and lavender oil. Now apply this homemade scrub on the affected area and gently rub in a circular motion. Remember not to rub vigorously or this can make the situation more painful. Scrub the skin for around a few minutes and then leave it to dry for 5 minutes. After the scrub has dried out, wash off with lukewarm water. Use this remedy daily in order to get rid of an ingrown hair. You can also prepare the scrub and refrigerate it for a few days. This makes the work more convenient and fast. Note:В Raw unprocessed honey is more effective than the processed honey which is available at the super market. Yes this can be used for your skin treatments as well. All you are required to do is to mix some amount of cornstarch with water to get a paste like consistency. Now apply this paste to the affected area. You can use a brush or applicator for this purpose if donвЂ™t wish to get your hands into it. Cornstarch is known to have similar properties as baking soda. 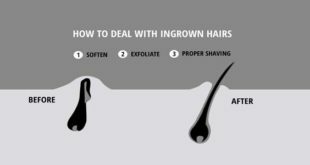 This makes everything clear and no justification is needed that why is this ingredient here in the list of remedies to get rid of an ingrown hair. Cornstarch helps to reduce the pain, inflammation and swelling which are caused due to ingrown hair. AspirinВ is yet another important and popular home remedy to treat inflammation and redness and get rid of an ingrown hair. TheВ presence of salicylic acidВ in aspirin loosens the ingrown hair and helps to reduce the inflammation and swelling. In order to use this remedy you will have to first dissolve two aspirin tablets in some water to obtain a fine paste. Add some honey to this mixture and apply it to the affected area. Leave it to work for 10-15 minutes and then wash it off with warm water. 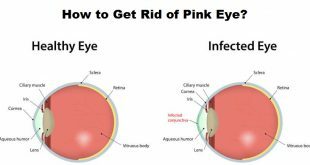 This natural home remedy must be repeated once or twice a week untill the symptoms of infection go away and the swelling is reduced. Note: We recommend doing a patch test before application of aspirin, as it may cause irritation on highly sensitive skin. We all are aware about the cooling properties of cucumber which helps to soothe the pain, inflammation and swelling caused due to infection. This makes it as one of the great and safest home remedies to treat skin problems and get rid of an ingrown hair. CucumberВ is known to potent a lot of water which helps to deal with the pain, skin inflammation, irritation, redness and swelling on the skin. All you are required to do is to refrigerate the cucumber for half an hour and cut it into slices. Now place these slices on the affected area and leave them to work. 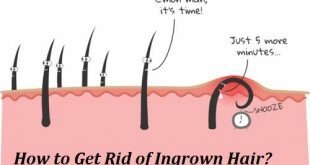 It is a very simple and effective home remedy that will help you to get rid of an ingrown hair. We recommend that this remedy must be repeated every day till the symptoms of ingrown hair subsides and the infection is completely eliminated. As an alternatively, you can also prepare cucumber puree and mix some milk into it. Refrigerate this mixture and when chilled, apply it to the affected area. Use a cotton ball for this purpose. Let the mixture stay on your skin for around 15 minutes then wash off with warm water. This makes it as an effective home remedy to get rid of an ingrown hair. You must have heard people saying that they use sea salt as bath soaks and for various skin treatments. Well there is a reason behind it. Sea salt is known to help eliminate the dead skin cells which tend to clog the pores resulting in ingrown hair and acne. The qualities of sea salt range from exfoliating the skin to increasing the blood circulation and reducing swelling to finally speed up the healing process. Sea salt potent the qualities of doing it all. All you are required to do is mix sea salt and water to obtain a paste like consistency. Now apply this mixture to the affected area using a cotton ball. Leave it for a good 10-15 minutes to show effects and then wash it off with warm water. Repeat the remedy twice daily in order to get rid of an ingrown hair fast and effectively. As an alternatively, you can also mix some Epsom salt in your bath soak yourself in it for a good half an hour. 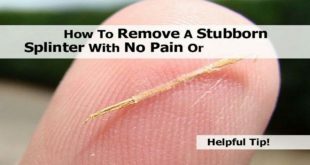 This remedy will help to loosen the ingrown hair and bring them to the surface, thus helping to get rid of an ingrown hair fast and naturally. Note:В In case you skin is highly sensitive, we do not recommend this remedy for you. Applying a few drops of lemon juice on the ingrown hair and leaving it till it dries off is yet another effective remedy to get rid of an ingrown hair fast and effectively. After it dries off, wash the area with lukewarm water. Repeat the remedy twice daily in order to get rid of an ingrown hair fast. Note:В As I stated earlier, if you have sensitive skin then this remedy is not for you. This is because lemon might cause irritation on sensitive skin, resulting in tiny white heads or zits on the exposed area. This is a very simple and effective home remedy to get rid of an ingrown hair. All you need to do is to simply peel a potato and use the flesh and juicy inner side to cover up the affected area. In order to secure the peel with and keep it in place, use a band-aid, if required. 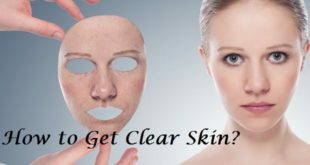 Leave the peels in place for 24 hours this is enough for the peels to show their effect on the inflamed skin. The remedy proves to be very effective in bringing out the hair on the surface of your skin. The effectiveness of boiled potato peels is more result worthy that war peels. These help in curing the skin wounds and this has been had medically proven. Raw potato peels are also known to potent natural antioxidant properties. Tea and tannins work wonders for your skin. I am sure you must have read loads of articles that mention tea as an effective remedy to soothe various skin problems like swelling, redness, acne, rashes, under eye etc. etc. Well here is another addition to the list of benefits tea has. TheВ tannic acidВ present in black tea helps get rid of redness, inflammation andВ itching thus, helping to get rid of ingrown hair fast and all naturally. It also helps to soothe the skin. In order to use the tea, simply moisten a tea bag in water. Now, either keep it on the affected area or rub it over. Repeat the remedy thrice daily to get rid of an ingrown hair. As an alternative remedy, you can also steep a tea bag in a cup of water for around 5 minutes. Now, strain the mixture and addВ coconut waterВ to it. Use a cotton ball to soak up the mixture in a good generous amount and then apply it on the affected area. Repeat this remedy daily for a week to alleviate the irritated skin and get rid of an ingrown hair fast. This remedy leaves no chance of being mentioned in various lists of home remedies to get rid of an ingrown hair. The natural anti-bacterial and anti-inflammatory properties that ACV possesses make it as one of the effective home remedies for various skin problems. All you need to do is to soak up a cotton ball in ACV and apply it directly to the affected area. We recommend people with sensitive skin to please dilute AVC in water and then use it. 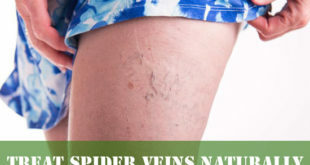 Also please make sure that you use organic ACV to increase the effectiveness of the treatment. Warm compress will help you to ease the inflammation and plain which is caused due to the infected hair follicle. All you need to do is simply soak a towel in the hot water. Ring out extra water from it to avoid wetting your bed. Now place the soaked towel on the affected area. Keep it in places till the towel is warm. Replace if needed. Repeat this remedy several times a day, until you witness the tip of the hair coming out of the skin. Strawberry crush when rubbed on the skin, works as a natural exfoliator for the skin. It will help to eliminate the dead skin cells which tend to clog the hair follicles, resulting in ingrown hair. All you need to do is, simply crush a few strawberries and mix some sour cream in it. Now, apply this paste on the affected area and leave it for 20 minutes to work. Afterwards, wash it off with warm water. Repeat the remedy once or twice a week in order to keep the ingrown hair at bay. Coffee is known as a natural exfoliator for the skin. It works similar to other natural scrubs and proves effective e when use to get rid of an ingrown hair. All you need to do is to simply prepare a paste ofВ coffeeВ and lukewarm water. Apply a thin layer of this paste to0 the affected area it to the affected area in circular motion. Leave the paste to work for 10-15 minutes and then wash it off with lukewarm water. 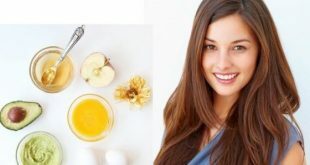 Eggs are a natural and highly effective home remedy to remove and also get rid of an ingrown hair. All you need to do is to remove theВ egg shell membraneВ and apply it on the affected area. Leave it in place for a while then remove the membrane when it dries off. You will see that the tip of the hair will come out with it. This makes it as an effective home remedy to get rid of an ingrown hair fast and naturally. Yes this stinky little thing is really effective for various skin and health problems. Most of the people like garlic and a few really hate it to the core. Garlic is an easily available ingredient and proves to be helpfulВ to get rid of an ingrown hair. All you need to do is apply the paste of crushed garlic over the affected area and secure it with the help of a bandage. This is to keep the thing in place. Leave it a good 30-45 minutes and then wash it off with mild soap and water. Repeat this remedy twice a day in order to get rid of an ingrown hair naturally. Yes this very famous skin treatment remedy is also used to get rid of an ingrown hair fast and naturally. Tea tree oil is known to have natural antiseptic, antibacterial and anti-inflammatory properties. These naturally present qualities in the oil that helps to remove the ingrown hair strand and prevent the follicle from developing infection. This makes it as an effective and natural home remedy to get rid of an ingrown hair. All you need to do is to simply apply some tea tree oil on the affected area. Use a cotton ball for the application. 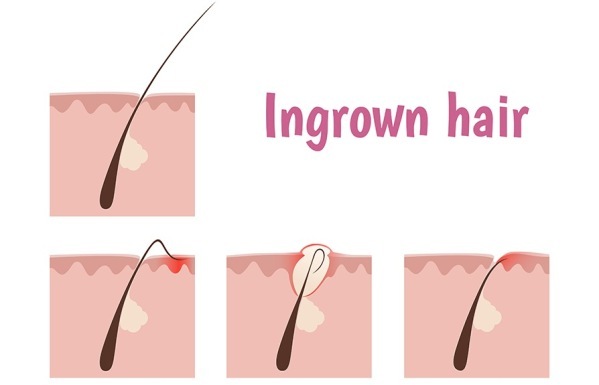 Religiously following the treatment will facilitate the tiny ingrowing hair to come out from beneath the skin and will also prevent the follicle from developing infection. As an alternatively or say we recommend you to dilute the oil with some base oil in case your skin highly sensitive. This is because tea tree can cause irritation to sensitive skin. You can also mix few oils together. Try mixing a tablespoon of olive oil with 3 tablespoons of tea tree oil. Now use the oil mixture to give the affected area a gentle massage. There is no need to wash the area as you can leave the oil on the skin for 10-15 minutes and then wash off with lukewarm water for better results. Repeat this remedy thrice daily to get rid of an ingrown hair fast and naturally. Last but not the least on the list of natural home remedies to get rid of an ingrown hair is Aloe vera. The natural health benefits of Aloe make it as a very effective herbal remedy to prevent infection and get rid of an ingrown hair. Aloe vera gel helps to soothe the inflammation caused in the affected area and also provides instant relief from itching and redness. The gel also helps to keep the skin moisturized and fastens up the healing process of infected follicle. Aloe does not contain alcohol unlike other after shave astringents and thus prevents the burning sensation when applied to the affected area. All you need to do is to apply aloe vera gel over the affected area and give a gentle massage. This will let the gel to enter the follicles. Leave the gel to work for a good half an hour and then wash it off with lukewarm water. Repeat this remedy twice daily for at least a week in order to get rid of an ingrown hair. 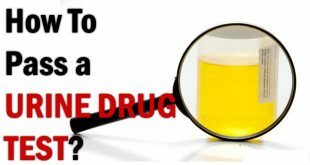 Previous How to Get Rid of Kidney Stones?